A revolutionary high-performance solution for water permeable, environmentally-friendly, aggregate surfaces. 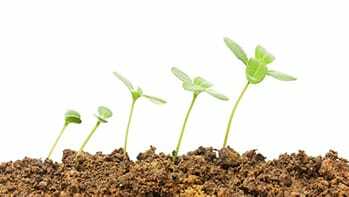 Organic-Lock is the product of extensive scientific research. The result: an environmentally-friendly binder that resists erosion while simultaneously remaining water permeable and maintaining strength and stability. Our environmentally friendly Organic-Lock binder is the strongest organic binder on the market today. Organic-Lock is made from 100% naturally occurring materials. 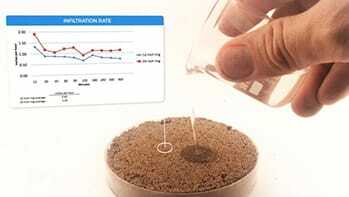 On contact with water, Organic-Lock creates a gel that binds the aggregate particles together and allows excess water to pass directly through to the groundwater table. 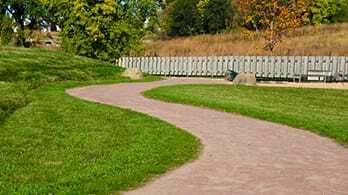 When installed to specifications, Organic-Lock blended aggregates qualify them as wheelchair accessible and Organic-Lock meets the maneuverability performance requirements of ASTM F 1951-09b. 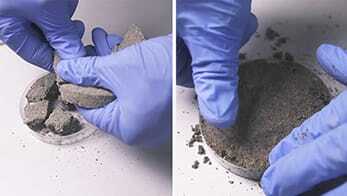 Organic-Lock stabilized surfaces offer significantly improved resistance to erosion over unstabilized surfaces. When activated by water, Organic-Lock forms an adhesive gel which bonds aggregate particles together while still allowing water to permeate through to the ground below. 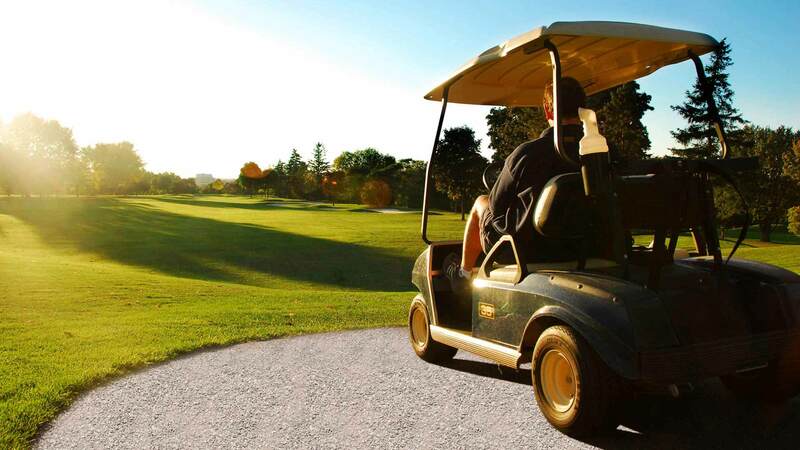 Organic-Lock is particularly effective on sloped surfaces where pathways and other surfaces are most prone to washouts and rutting due to fast moving water. 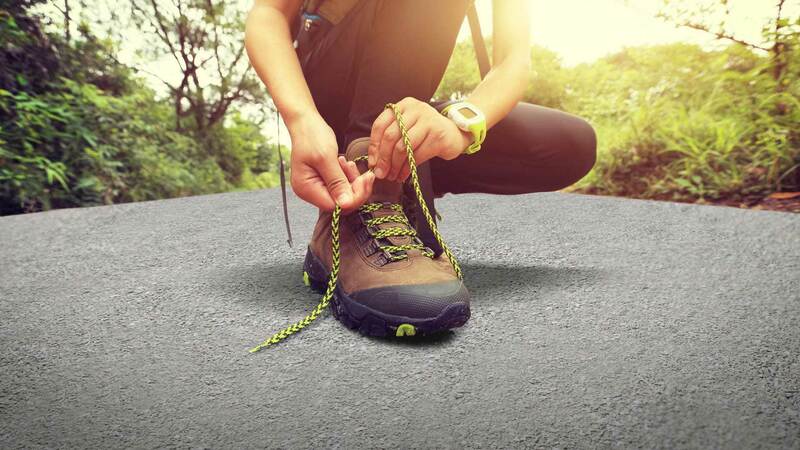 Unlike alternative products that use a chemical reaction to stabilize surfaces and are prone to cracking, Organic-Lock blended aggregate surfaces remain completely flexible and able to withstand thermal movement or settlement of the sub base materials. 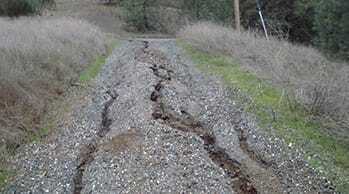 In conditions where cracking does occur, rain water reactivates the Organic-Lock allowing the surface to self- heal and naturally fill any cracks making it a very low maintenance pathway stabilizer option. 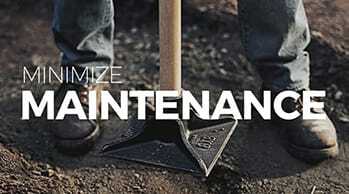 Maintenance is easy. The material can be re-worked by adding water first (which reactivates the Organic-Lock gel allowing for physical manipulation), followed by scarification and re-compaction. 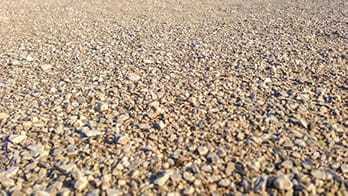 The large aggregate particles will chip off on the surface to create a loose, natural-looking, surface texture. 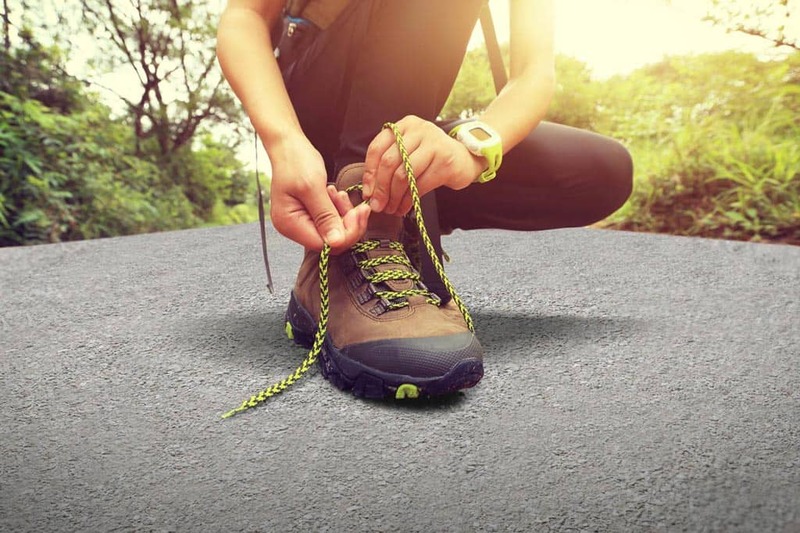 Organic-Lock offers that sought-after calming, natural aesthetic of aggregate surfaces, while still maintaining the stability associated with non-aggregate surfaces. Organic-Lock swells into a gel when it comes in contact with water. When it dries, this gel grips onto the particles of stone and dust and locks them in place which helps prevent dust from blowing away in the wind or being kicked up by traffic. 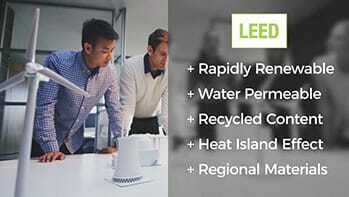 Organic-Lock pathways can qualify for credits towards LEED® certification. 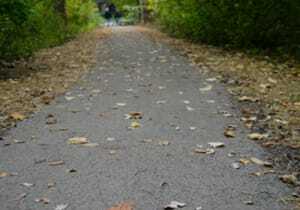 Nothing quite matches the sound and feel of a crushed stone pathway underfoot. 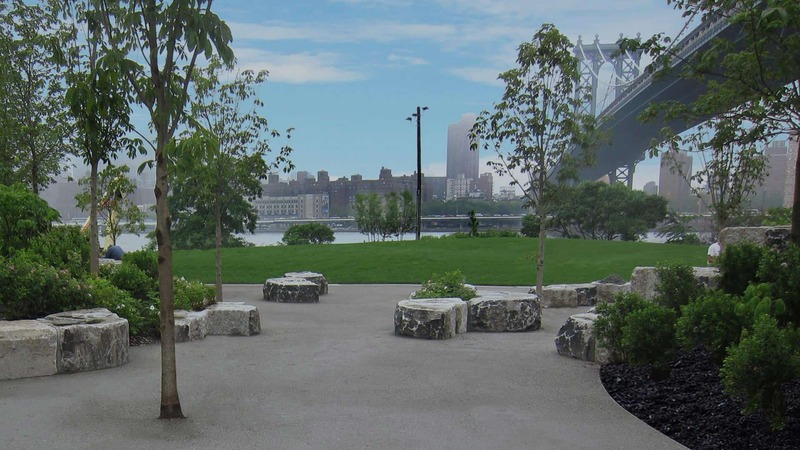 Organic-Lock blended aggregate is increasingly being used in foot traffic pathway projects around the world, including Shanghai Disney Resort, Brooklyn Bridge Park, and Maggie Daly Park to name a few. 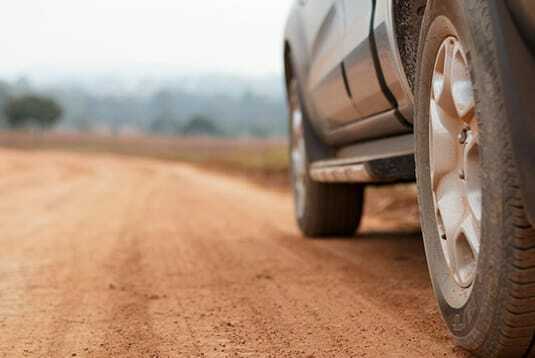 Unlike asphalt and concrete surfaces that are prone to cracking, and impermeable to water, Organic-Lock blended aggregate vehicular surfaces provide strong, stable surfaces that flex with weather changes, self-heal, deter weeds and are water permeable. Ideal for vehicular traffic and fire lanes. 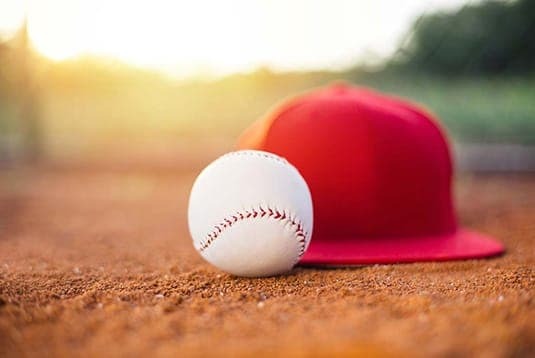 Already in use in professional baseball league stadiums around the world, including the San Diego Padres, the Los Angeles Dodgers and the Samsung Lions in South Korea, Organic-Lock blended aggregates are an innovative natural solution for stable baseball warning tracks. 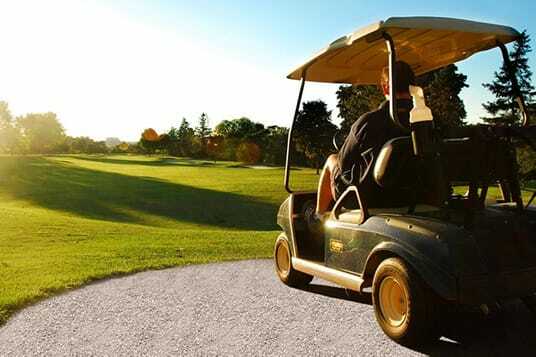 An ideal solution for natural, stable, water permeable golf cart pathways, Organic-Lock blended aggregates retain the quiet aesthetic of crushed stone pathways. 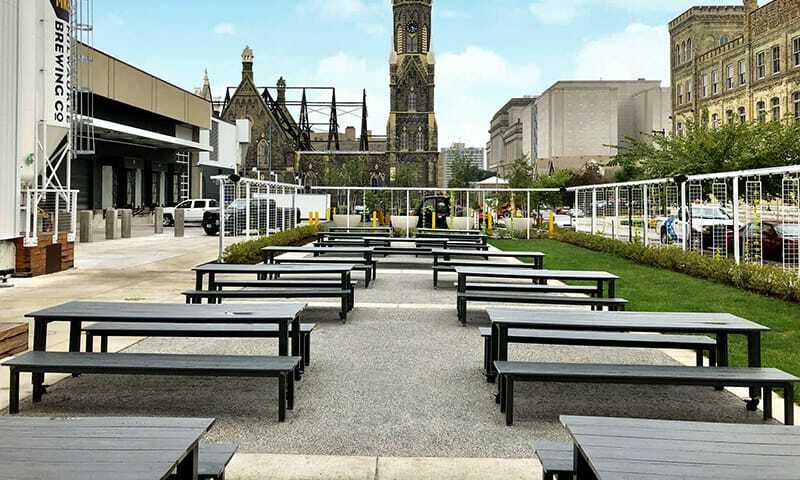 Organic-Lock is the primary component in EnviroSAND and EnviroSTONE, the leading environmentally-friendly alternatives to polymeric jointing material for paving stones and flagstones on the market today. 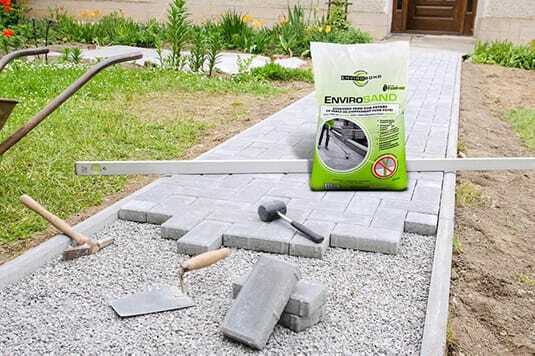 Available to the DIY market at Home Depot locations across Canada and the pro market through a network of dealers across Canada and the US, EnviroSAND and EnviroSTONE resist erosion, deter weed growth, allow water to permeate and, best of all, avoid the dreaded polyhaze problem of polymeric sands. 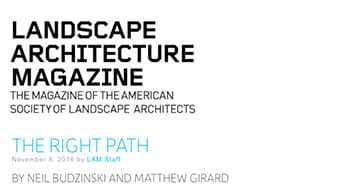 Organic-Lock was featured in Landscape Architecture Magazine! 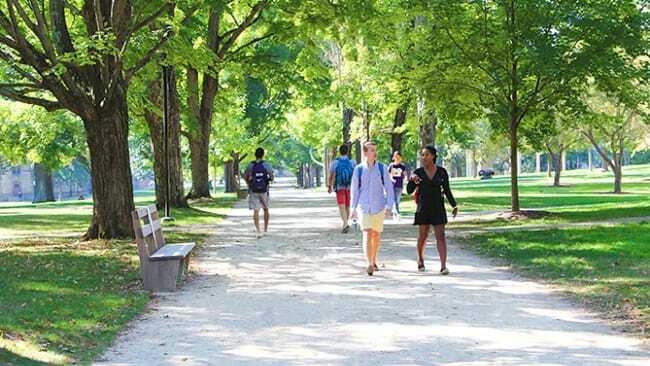 Click here to read the in-depth case study on an Organic-Lock blended pathway system installed at Kenyon College in Gambier, Ohio. Neil Budzinski and Matthew Girard are senior associates at Michael Van Valkenburgh Associates, Inc. 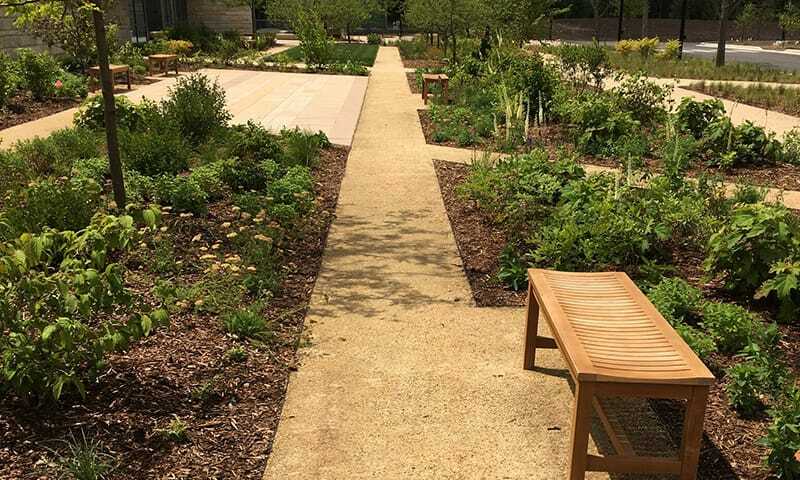 Check out the case study for the recently completed Organic-Lock project at Perkins Woods in Cook County, IL by Kafka Granite. 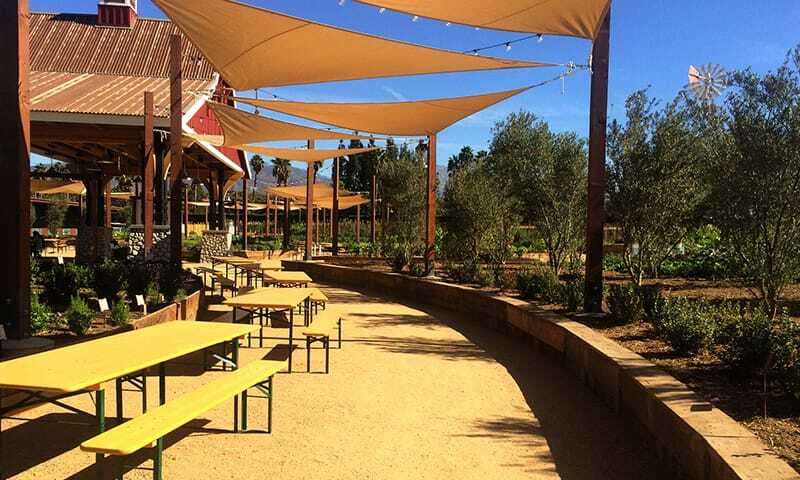 Get personal access to project case studies, product support, and tips on the latest design and technology for organic blended aggregate pathways and surfaces around the world.